♦ Viðurkenning: Við Skrímslakisi kætumst! Samtökin IBBY á Íslandi völdu á dögunum Skrímslakisa sem eina þriggja bóka á heiðurslista alþjóðlegu IBBY samtakanna 2016. Hér má lesa frétt IBBY á Íslandi. Hver landsdeild IBBY nefnir til einn rithöfund, einn myndhöfund og einn þýðanda á heiðurslistann sem birtur er annað hvert ár. Frá Íslandi er Ármann Jakobsson er tilnefndur fyrir Síðasta galdrameistarann; Áslaug Jónsdóttir er tilnefnd fyrir Skrímslakisa og Magnea J. Matthíasdóttir er tilnefnd fyrir þýðinguna á Afbrigði eftir Veronicu Roth. Bækurnar á heiðurslista IBBY fá umtalsverða alþjóðlega kynningu. Þær eru kynntar á heimsþingi IBBY sem næst verður haldið í ágúst 2016 á Nýja-Sjálandi og þær fara um heiminn á farandsýningu á hin ýmsu bókaþing í tvö ár eftir það. Bækur sem tilnefndar hafa verið á heiðurslistann má svo finna á nokkrum völdum bókasöfnum víðsvegar um heiminn. Þetta er í þriðja sinn sem mér hlotnast sá heiður að vera tilnefnd sem myndhöfundur á heiðurslista IBBY: árið 2004 var það fyrir Krakkakvæði eftir Böðvar Guðmundsson og árið 2002 fyrir Söguna af bláa hnettinum eftir Andra Snæ Magnason. Hér má lesa meira um heiðurslista IBBY samtakanna. 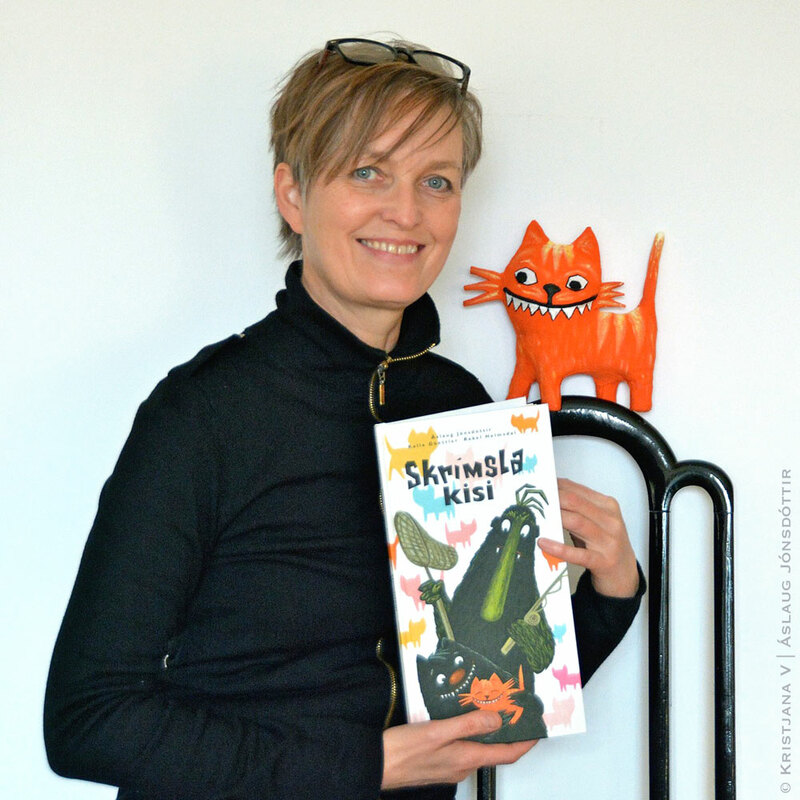 ♦ Honour: Skrímslakisi (Monster Kitty) by the Nordic trio: Áslaug Jónsdóttir, Kalle Güettler and Rakel Helmsdal has been selected for the 2016 IBBY Honour List for illustration. 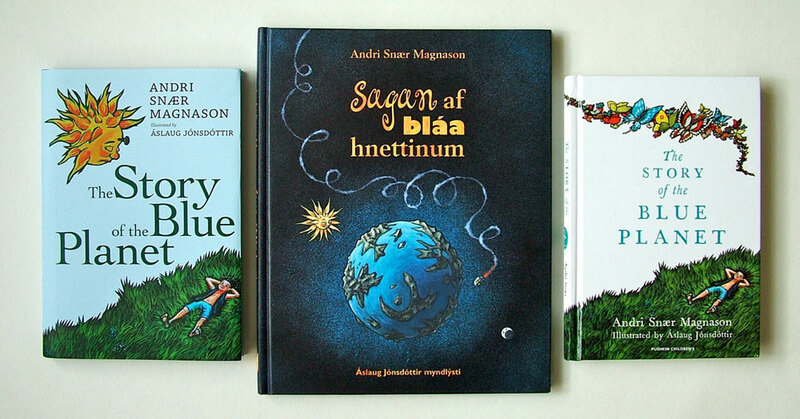 Read the news in Icelandic here and all about IBBY Honour List here. 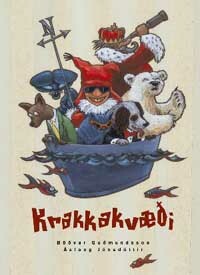 Nominated from Iceland are: author Ármann Jakobsson for Síðasti galdrameistarinn; illustrator Áslaug Jónsdóttir for Skrímslakisi and translator Magnea J. Matthíasdóttir for Afbrigði by Veronicu Roth. The criteria goes as follows: “The IBBY Honour List is a biennial selection of outstanding, recently published books, honouring writers, illustrators and translators from IBBY member countries. The IBBY Honour List is one of the most widespread and effective ways of furthering IBBY’s objective of encouraging international understanding through children’s literature.” The national sections of IBBY can nominate one book for each of the three categories. I am honoured to have my name for the third time on the list; previously in 2004 for Krakkakvæði (Poems for Children) by Böðvar Guðmundsson and in 2002 for Sagan af bláa hnettinum (The Story of the Blue Planet) by Andri Snær Magnason. The Honour List catalogue and the selected books will be presented at the IBBY Congresses in Auckland, New Zealand in 2016. Thereafter seven parallel sets of the books circulate around the world at exhibitions during conferences and book fairs. Permanent collections of the IBBY Honour List books are kept at the International Youth Library in Munich, the Swiss Institute for Child and Youth Media in Zurich, Bibiana Research Collection in Bratislava, IBBY in Tokyo and Northwestern University Library at Evanston, Illinois. 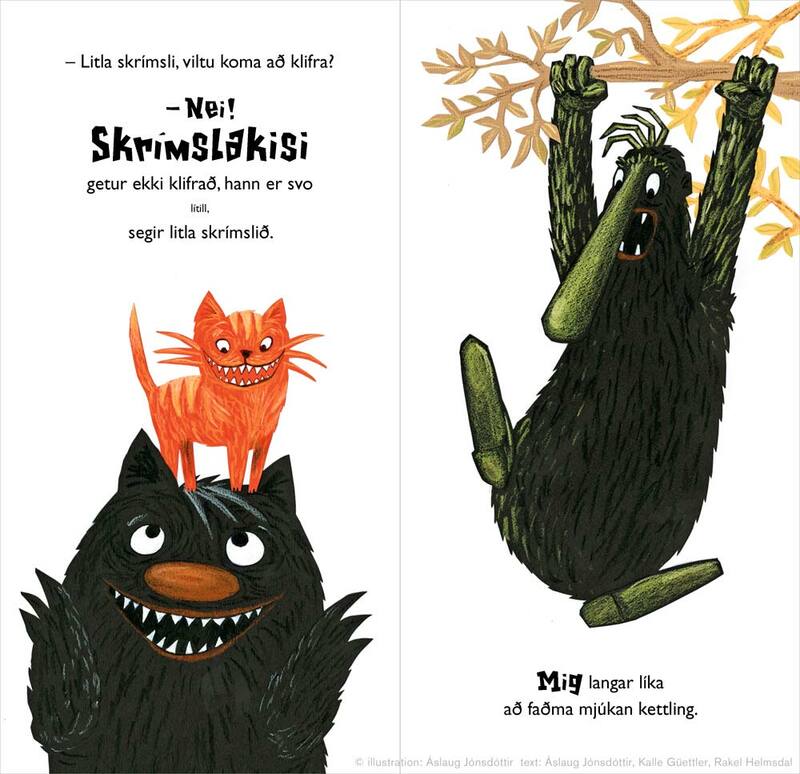 Below: two spreads from Skrímslakisi (Monster Kitty). This entry was posted in grafísk hönnun | graphic design, myndlýsingar | illustration, skrímslabækurnar | the monster series and tagged Áslaug Jónsdóttir, children's book, IBBY Honour List, illustration, Kalle Güettler, Monsterkatten, myndlýsingar, Rakel Helmsdal, Skrímslakisi, Skrímslakiskan. Bookmark the permalink.